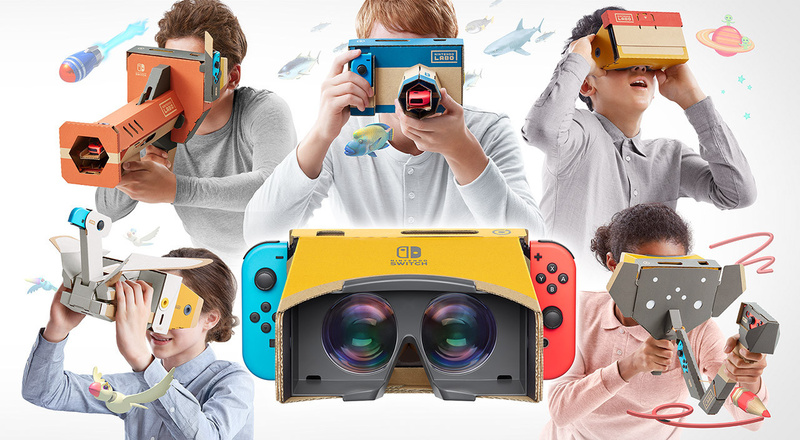 UK chart data is now in for the week ending 13th April, revealing that both of the two Nintendo Labo VR Kit releases have failed to make it into the top 40. Nintendo’s other recent major release, Yoshi’s Crafted World, has slipped down to fifth place this week, while Tom Clancy’s The Division 2 remains at the top, seeing a slight increase in sales over last week and having no new releases to contend with. Mario Kart 8 Deluxe also saw a slight increase in sales this week, helping it to keep hold of fourth spot. Did you buy any of these chart-topping games this week? Surprised to see Labo VR miss out on the top 40? Let us know down below.